Our surgeons are consistently ranked as Top Cardiac Surgeons in the area. 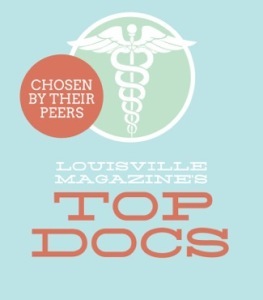 Baptist Health Louisville, a 519 bed hospital has been recognized as the #1 Hospital in the Louisville, KY metro area. Our surgeons have the expertise in all mitral valve repair procedures. Established in 1994, the Baptist Cardiac Surgery (BCS) Program has evolved into a leading center in Kentuckiana, with a commitment to excellence in care, outcomes, and cardiac surgery advancement. Baptist Cardiac Surgeons are nationally recognized for the early adoption and refinement of minimally invasive valve and coronary revascularization procedures, mitral valve repair, and complex aortic procedures. BCS performs nearly 800 cardiac surgical procedures annually with combined surgical experience of more than 60 years. Our Less Invasive Cardiac Surgery approach involves a comprehensive multi-modality effort that tailors each procedure to each individual patient. This has resulted in an overall lower “surgical impact”, with lower complication and transfusion rates, improved pain management, shorter hospital stays, quicker returns to normal functional status, and more positive patient experiences. Baptist Cardiac Surgery is a leader in the region for minimally invasive or "small incision" operations. Our patients share their experiences about cardiac surgery and their recovery. Please call our office at (502) 899-3858 with any questions.